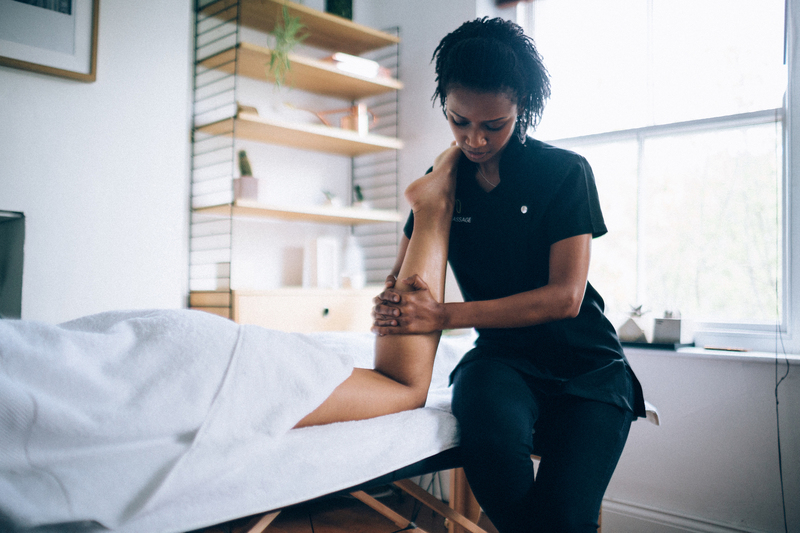 Whether you’ve got a cabinet filled with Ultra Marathon finisher medals, or you’re just setting off on your running journey, every pavement-pounder can benefit from massage. From boosting performance to aiding recovery, we’ve got the low down for you here. 5k, 10k or the whole 26.2 miles: whatever the distance, your muscles need to be well-stretched and in good condition to prevent injury during the run. We recommend booking a pre-event Sports massage three days before your run. Leaving ample time between the treatment and the starting pistol means you’ll have the best chance of helping prevent injury and also allow for a quicker recovery. Your expert therapist will use a whole range of techniques during your treatment to help you get race ready. Expect tapotement (the rhythmic tapping technique used in Swedish massage), gentle stretching, compression, and mobilisation of the joints, which all help to stimulate the nervous system and boost blood flow circulation. Sports massage also helops loosen tight spots, leading to increased flexibility and lowering the risk of injury whilst running. Oh, and that’s not all. This type of treatment can also help to reduce pre-event anxiety and tension – which is both common and natural for first-time race runners. Feeling sore? We bet! We’re sure you’re a stretching pro, but if you want a refresher, check out our guide to stretches that specifically target the legs (which can also be aided by massage). When you finish a sporting event, you can have a massage straight after cooling down – at least 15 minutes after finishing. However, if you’ve injured yourself, we don’t recommend having a massage straight after. Make sure you get checked by a doctor first and then wait a few days before having any rehabilitation treatment or massage. When you book a treatment through Urban, you know that you’re in the hands of a pro. They’ll take the time to assess you before they start, but make sure you let them know that this is a post-event massage. You can expect plenty of long strokes to calm down the nervous system and flush out the toxins that’ll have accumulated, through the build-up of lactic acid in your legs. Your therapist will also probably assist you in passive stretching, to help lengthen the muscle and give back the initial length which helps with your recovery. A post-event massage should never be painful and shouldn’t be anything like you’d expect from a Deep Tissue massage. So, if you’ve got a race coming up, the Urban team wish you the best of luck. Make sure you look after your body both pre- and post-run.